The Decorated Apparel Expo is returning to the KCI Expo Center for our 2019 show! This bigger venue has allowed us to bring you more vendors and lots of special features that we just couldn't 'fit in' before! Register today and mark your calendar to attend February 22 & 23, 2019. This is one event you can't afford to miss! Need more reasons to come to DAX Kansas City 2019? We can think of lots of good reasons, but some of the best reasons are listed below. The following exhibitors have posted show specials that they want you to know about, and there will certainly be many more when you come to DAX. Depending on what you need and which special offers you take advantage of, you could easily pay for your trip to the show! Activate your InkSoft account at the DAX show and receive your first month free! Valid: Good for 30 after the show. 20 % off your first stock or custom transfer order! Visit Stahls in Booth #111 for exclusive show specials on CAD-CUT Heat Transfer Vinyl, Hotronix Heat Presses, and more! AGP e-Solutions makes it EASY to collect orders, get paid upfront and increase efficiencies. Visit our booth for a Demo. ASK ABOUT OUR SHOW SPECIAL! We are providing 50% off the first month to anyone that signs up for our services from February 15 to February 28. If you do sign up during the show you will also get a free Amazon Echo Dot as a token of appreciation. Enroll with Points Plus at DAX Kansas City and receive 750 bonus points! And, if you buy any equipment at the show you'll receive 2x the Points Plus points on your purchase! DecoNetwork will be offering an attractive show special during the DAX show. Come and visit us at the booth for more details. Stop by and register for our daily drawing & win a 5 Yd roll of Lumina HTM. See a demo of our Hix Auto-Opening Heat Press and receive a 'Show Special Discount' coupon valid from Feb 22nd - Mar 8th, 2019. Ask about the newly released Roland Direct-To-Garment printer. Please stop by our booth 212 to check out our great Marketing Kit Special for just $35.00! This kit is great for any beginner or veteran decorator and it includes a personalized catalog, color selector, price guide and much more! We will have great Hotroinx Heat Press Packages that include the press as well as several other lower platens!! Discounts on all bundle packages at the show! Floor models available for take home! Free in booth demonstrations and training's! Stop by our booth to see what's on sale. We've dropped prices on some of our best selling performance shorts and tees for the entire summer! Also check out the latest game and practice apparel, fan gear, polos and more. Inkjet film at wholesale prices too! Order Screens at the show for FREE SHIPPING to your shop. Ask about how you can receive fantastic discounts on a complete Full Set design library or on updating your old set of designs. Dakota Collectibles is also offering free designs when you sign up for Quick Clicks, and embroidery subscription program. Also, receive money-saving discounts on rhinestone transfers, combos, and embroidery packs, which are available at our booth. Stop by the booth and receive 35% off coupon on future orders. SPSI will be featuring the following equipment Workhorse Freedom Express Auto press, Conveyor Dryer, Screen Dryer, Lumitron Exposure Unit, Odyssey Manual Press, Mimaki CJV150-75 Print and Cut. Stop by and speak with one of our knowledgeable sales staff and take your shop to the next level. EnMart offers 5% off already low wholesale prices to those who purchase at the show. We also offer package deals on sublimation printers and supplies. Demo deals may also be available for printers and heat presses used at the show. Free delivery and installation on all our commercial embroidery machines. 10% Discount on sample jackets - limit 3. 10% Discount on sample jacket decoration - does not include set-up or pattern charges. Save 30% on our Professional Rhinestone Starter Kit - Show Special Price $299. Kit includes everything you need to get started Rhinestoning immediately. Our System takes only minutes to learn, you can start making money today. See our show booth for a hands on demo and details. Embroidery Machine specials are $1,000 off during the show. We will have Melody Rayon Embroidery Thread for $2.00cone. You can pick your colors at the booth. Buy the Easy Patch Kit and the Easy Applique Kit and receive the Puffy Foam Kit FREE! 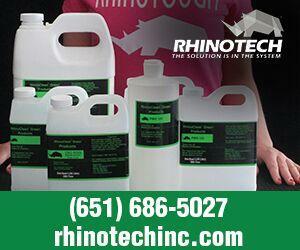 Soy and citrus-based Screen Cleaning products for U.V., Plastisol and Solvent-based Ink! Screen Wash! Press Wash! Emulsion and Haze Removers! Screen Prep! Degreasers! Professional, Economy, Ultralite Screen Cleaning Packages! Filtration, Recirculating, Hi-pressure Washer systems! Washout Booths! Inkjet and Laser Heat Transfer Papers for Light and Dark Color Garments. High-performance, reliable direct-to-garment printing from the new Epson SureColor F2100. Lease now for only $299 per month, plus get a free 20 liter container of pretreat concentrate $675 value. Designed exclusively for direct-to-garment DTG printing, the SureColor F2100 offers an entirely purpose-built system for high-quality prints at production speeds. NO $ DOWN, NO PAYMENTS FOR 90 DAYS! Finance on the show floor in Kansas City and take advantage of this limited time offer! Offer is valid on NEW transactions only and is subject to credit approval. Place your order for 40% off samples. Please stop by booth for details. Lawson Screen & Digital Products will be offering show specials on all of our screen printing and DTG equipment. Special discounts for those able to take equipment home after the show. Supply specials for screen printing and DTG supplies, embroidery thread and auxiliary materials, along with vinyl will be offered. $1,000 OFF MSRP Any Bravo Pkg. 25% off of your 1st order up to $50.00. Must mention the show special discount in order to receive the discount.